Yesterday, Colabo, a San Carlos, CA-based provider of intelligent sales acceleration solutions, announced its $1.5M round of funding (read our news here). Today, CEO and co-founder Yoav Dembak answered our questions about the company, the product, the funding and future plans. FinSMEs: Hi Yoav, First, can you tell us a little bit more about you? What’s your background? 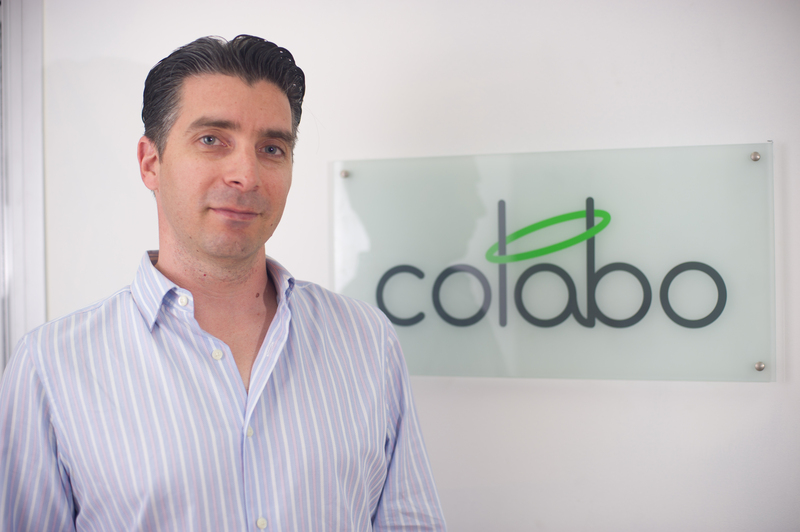 ​Yoav: My Name is Yoav Dembak and i am the co-founder and CEO of Colabo together with Naama Halperin and Asaf Wexler. This is our second startup as founders and the 5th company we work together since 1999. Our previous start-up, B-hive Networks – a provider of application management solutions, was acquired in 2008 by VMware for $70m where we worked as executives till 2011. Before B-hive i filled different sales and marketing roles and my academic background in is Computer Science and i’ve been programming since i was 10. I served 3 years in active military duty (IDF) as a paratrooper and combat dog operator in a special forces unit the prototyped and implemented the first usage of dogs in field military operations to discover explosives and neutralize terrorists in hostage situations. FinSMEs: Let’s speak about Colabo. What’s the problem do you wanted to fix in the market? Yoav: Enterprise sales has changed drastically in the past 5 years from the old days of direct sales, cold calling and in-person meetings to the new days of inside sales, low-touch channels and predictive analytics. At any given point, there are hundreds of different services that potential customers interact with the company and between each in search of more information about solutions to their problems and trying out tools , etc. it includes official tools like the Company’s web site, automated emails sent by the company, official forums along with external services like Linkedin groups, Meetup groups, Quora and so on. The pain is the average sales person has no idea where those leads are hiding and lacks to tools to discover, engage and qualify these leads and turn them into paying customers. Colabo offers a very simple solution that let’s anyone enter the name of their competitors and Colabo then analyzes all their marketing activities (Keywords, social channels, events , etc) to discover warm , optimal leads for you that you can immediately engage with. Colabo also recommends the optimal channels to engage with each lead. With Colabo you can see all the information from internal and external data sources about each lead and even sort all your leads based on the strength of the signals each lead generated. Yoav: Colabo discovers leads, qualifies prospects and optimizes the reach out to them. The leads Colabo provides are warm leads based on live signals. For example as we are happy to eat our own dog food here, our outbound leads are generated by Colabo. In our case these would include anyone joining a relevant Linkedin group, posting a sales tool question in Quora and such. Leads are qualified again based on signals – for example have they read ‘white papers’ on our website, does their company use tools that have a matching with your offering. Colabo also optimizes how we engage with these leading to significantly higher and more engaged responses. FinSMEs: You just raised 1.5m in funding. What can you tell me about the investors. Was it easy to close the deal? How are yo using the funds? Yoav: The investors are all experienced enterprise software veterans a strong focus on analytics. Paul and Raghu have been working with us from day zero all the way back to VMware. other investors like Ray Rothrock have been with us back in B-hive. The Hive is a great VC to work with as they specialize in enterprise analytics and bring a lot of experience to the table which is really refreshing compared to your average VC that invests across the board in consumer and enterprise software. The funds are going toward fulfilling a backlog of customer demand in both infrastructure and new features. Yoav: We envision Colabo becoming the missing layer that allows sales professionals to leverage new data sources and engagement channels to close more deals faster to take over the CRM market.